Looking for a unique fundraising idea? A candle fundraiser offers something a little different than the usual fundraising products. Aside from emergency candle usage, scented candles give a warm glow and comforting aroma when lit (or should that be a comforting glow and warm aroma?). Women are the usual buyers of candles, but men also buy them as romantic gifts or for those special occasions to set the mood for their partner. Used for light, fragrance, or romance, candles are always warm and inviting. fundraisers can provide a healthy 50% profit. Of course there is more to candle fundraising than just a profit margin. You should choose a fundraiser that your group is comfortable with. You’ll make more money if you like the products and believe in what you’re selling, regardless of the profit percentage. Some people and schools make their own candles, which cuts out the middle man and allows them to earn a lot more money for their efforts. Do you know non-profit groups can easily raise funds by making their own candles? Some people even use it as an on-going enterprise and generate an income of up to $50,000 per year. The alternative is to buy premade candles, made specifically for fundraising. Using your students as vendors is a great idea, but it is also important to remember that students who are forced into selling may not sell much unless they’re given incentives or sparked by competition. Many supporters walk door-to-door offering candles for sale; the same method used in lots of different product fundraisers. A more productive sales tool these days is to utilize the power of the web with a fundraising website and email campaign to expose your candles to everyone you know, including distant friends and relatives. 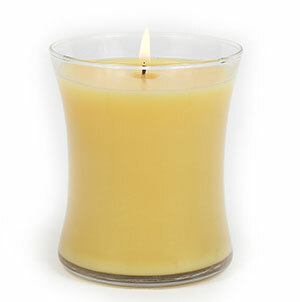 Fundraising.com – We use only the highest grade of waxes available for our Heritage candles. Fragrance is the number one factor in candle purchases. All candles have thorough fragrance distribution. This allows you to enjoy the fragrance through the entire life of the candle. The Candle Fundraiser was chosen because it was September and Cliffdale Elementary School in Fayettevile, NC had figured candles would fit the Fall/Winter Atmosphere. We really wanted the kids to go to the special Christmas Presentations at the Zoo (and also needed funds for the school) and thus the idea of the fundraiser was born. To generate the excitement of the fundraiser, we first bought a bunch of candles. We then had an outdoor (safer than the gymnasium) school meeting with the candles and told them what we wanted to do. We had posters from the previous years Zoo Christmas Activities and a tape of zoo animal noises. We then spoke with the children about what we were doing and why we needed their help! As an incentive, we had gotten together with a parent who worked at the zoo and came to an agreement. The zoo had a special petting zoo and often times brought over some of the more “exotic” animals on special occasions. To incite excitement and the competitive spirit of the children, we designated “rewards” in the petting zoo. For those who sold $500 dollars or more, they would be able to pet a wallaby. For those who sold $350 dollars or more, they would be able to hold and pet a parrot. For those who sold $200 dollars or more, they would be able to pet a turtle. Lastly, any children selling $100 dollars or more would be able to pet an EMU. The candle fundraiser was a HUGE success. We had over 150 children sell more than the $500 dollar level! Hundreds more sold between $100 and $499 of candles. All those who didn’t were still able to pet goats, rabbits and other small animals. The trip to the zoo was amazing and we raised hundreds of dollars for the school! I’m from Northeast Ohio and was visiting a friend in Southern Ohio a couple summers ago. In the summer it tends to flood in that area and they had been hit particularly hard that year. I attended church with my friend and the pastor was asking for ideas for fundraising for the flood victims. I came up with the idea of selling candles as the fundraiser. I thought it was a good idea because if you can see the light you always have hope. The pastor loved the idea! We didn’t have any marketing ideas. We just went to areas that weren’t hit by the flooding and put in a lot of hard work. We ended up raising $1000 dollars in one weekend. I am not one of those people who write lightly, so when I say something I am sincere. One of my friends makes those gel candles, to give to the members of her church every Christmas, and I think it is a nice gesture, but I had no idea how receptive people were to candles. Sure they look great on a table,shelf,or a mantel, but I figured, it was a once, maybe twice in a life time purchase. Well how wrong I was. This time, my church needed help. I was helping this pastor start his ministry, and his church was a small store front. The congregation was around 150, with around 35-40 being small children. The church was in a poor neighborhood, with nearly all the congregation being on public assistance. However, because the pastor was a radio personality, he had a few well to do followers and some outside support. Beginning in the summer, we had begun to pick up gifts for the children, from the money that was collected in the urn in the back of the church, and by December we had nearly all the children covered. Then it happened, someone broke in via the upper levels, which contained a few broken down apartments, and stole nearly everything from the church. Speakers, tree, Bibles, recording equipment, and yes the gifts for the children. What to do? I was speaking to my friend, telling her what had happened. She suggested her candles. I was uncertain that it would work, but nothing from nothing always leaves you in the same spot.So she made around 150 while she was making her gifts and shipped them to me, and I ordered a few from a dealer who sold them as fundraising project. Well I was so wrong about the candles. The church was down the street from a shopping area and we enlisted the help of the stores, and market. The congregation sold them, the pastor and his friends sold them, even I sold them. Everyone plus I had to reorder and they went. We made over $3000 in less than two weeks. From candles. I was in awe. The story ended great. The children all got even better gifts, another church donated Bibles, and sound equipment, and Christmas service was so blessed. I guess you can say it was a miracle of the candle.